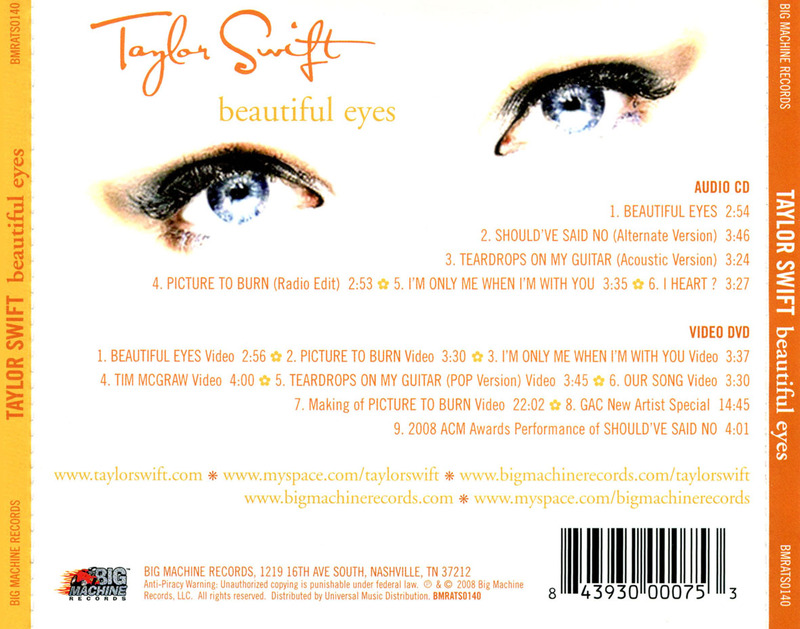 "Beautiful Eyes" is the second extended play (EP) by American singer Taylor Swift. The EP was released on July 15, 2008 by Big Machine Records exclusively to Walmart stores in the United States and online. The limited release EP has a primarily country pop sound and features alternate versions of tracks from her debut album, "Taylor Swift" (2006), and two original tracks, "Beautiful Eyes" and "I Heart ? ", songs which she had previously written; a DVD, featuring music videos of singles from "Taylor Swift", is also included on the physical release of the EP. Like her second album, this one also features CDVU+ technology that includes more than 30 pages of bonus features with an exclusive video performance, 60 printable photos, complete album lyrics, downloadable graphics, and hidden links. In addition, the packaging of the album is made from 100% recycled materials. "Beautiful Eyes" peaked at number nine on the US Billboard 200 and topped Billboard's Top Country Albums chart, succeeding her self-titled debut album. "I Heart ?" was released as a promotional single in June 2008. Though the EP was not heavily promoted, Swift performed the title track at a few venues. As of November 2017, the EP has sold 341'000 copies in the US. Swift received much success with the release of her self-titled debut album "Taylor Swift" (2006), and began working on her second studio album, "Fearless" (2008), in 2007. During that time, she received a number of e-mails from fans requesting for new material to be released, which drove Swift into releasing "Beautiful Eyes": "I thought this might tide them over till the new album comes out in the fall." "Beautiful Eyes" is musically oriented to country pop and contemporary music. It includes new versions of tracks from "Taylor Swift": an alternate version of "Should've Said No", the fifth single from the album, an acoustic version of "Teardrops on My Guitar", the second single from the album, a radio edit of "Picture to Burn", the fourth single from the album, and "I'm Only Me when I'm with You", a promotional single from the album. 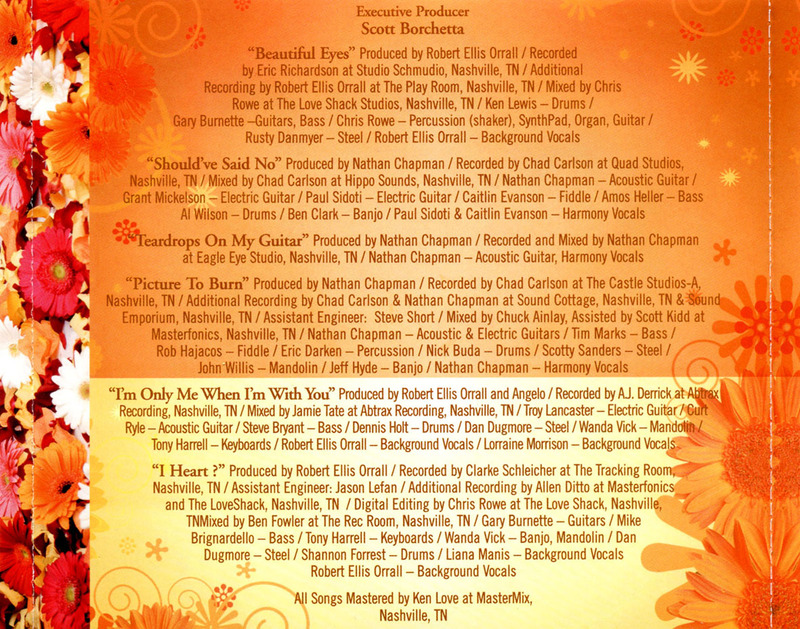 The EP also features two original songs, "Beautiful Eyes" and "I Heart ? ", which she previously wrote in 2003. The EP's DVD features music videos from the singles from "Taylor Swift", as well as a music video made for "Beautiful Eyes" from footage from Swift's eighteenth birthday party. Swift did not want any misconceptions of "Beautiful Eyes" as her second album and therefore partnered with the American retail company Walmart to make the EP an exclusive release. The album was only made available through American Walmart stores and the company's website. Furthermore, it was made a limited release because Swift only allowed Big Machine Records to manufacture a certain amount of copies of the EP. She said, "I’m only letting my record company make a small amount of these. The last thing I want any of you to think is that we are putting out too many releases." "I Heart ?" 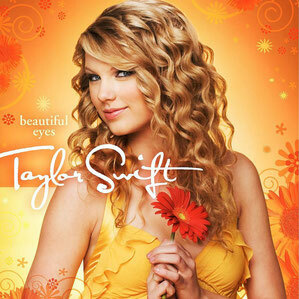 was released as a promotional single from "Beautiful Eyes" on June 23, 2008. 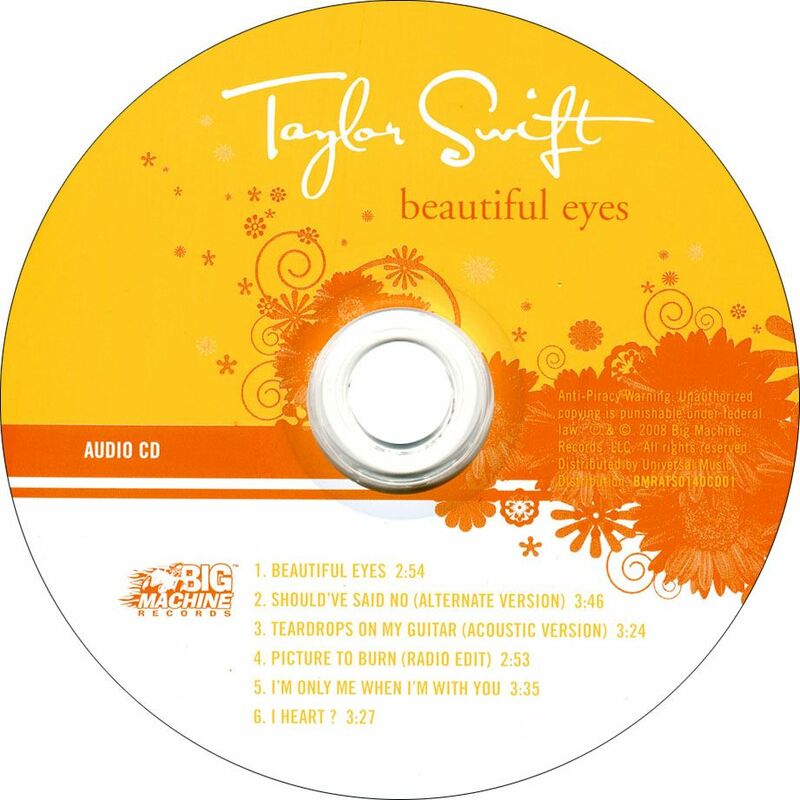 Swift promoted "Beautiful Eyes" minimally for the reason being she did not want for misconceptions of the EP being her second album, although she did perform the title track at different venues. She first performed "Beautiful Eyes" on January 23, 2005 at the 2005 NAMM Show, an annual music product trade show held in Anaheim, California at the Anaheim Convention Center. The performance featured Swift, dressed in a red blouse and blue jeans, performing acoustically with a guitar, sitting on a bar stool. "Beautiful Eyes" was later performed as part of Swift's set for Stripped on August 5, 2008; she wore a black, one-shoulder dress and performed with a back-up band while playing a rhinestoned acoustic guitar.